My husband just came up with the name of my new quilt. He’s calling it “Unbeweevilble”. Totally cute and I love it. 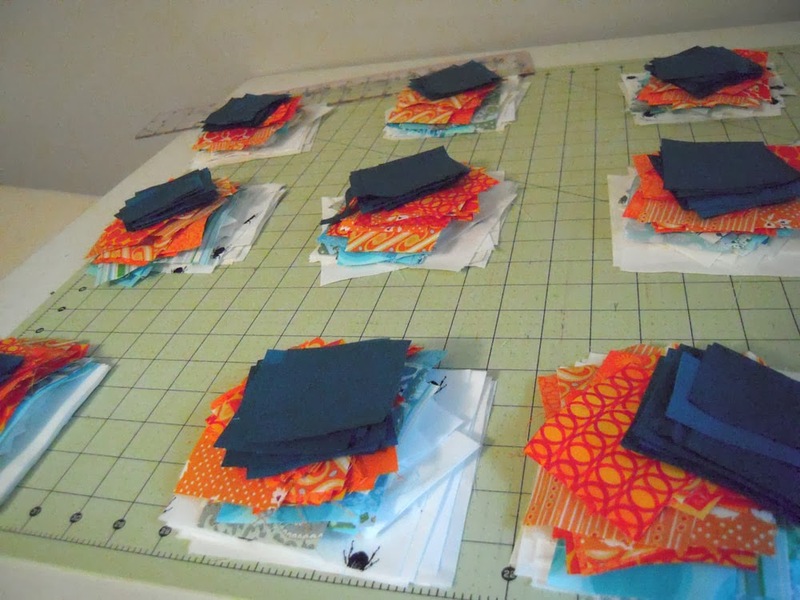 pieces cut… ready to sew! 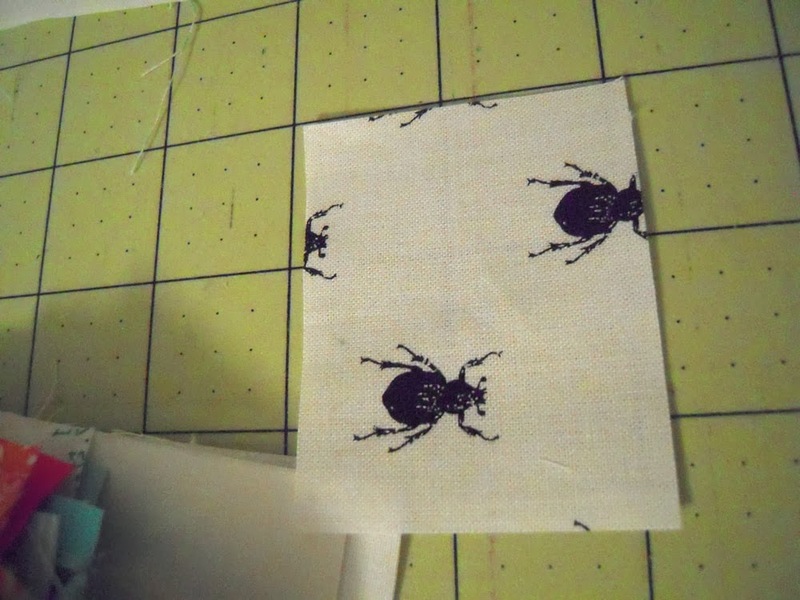 And maybe you can see why this quilt was so aptly named… every so often there’s a piece with weevils on it! 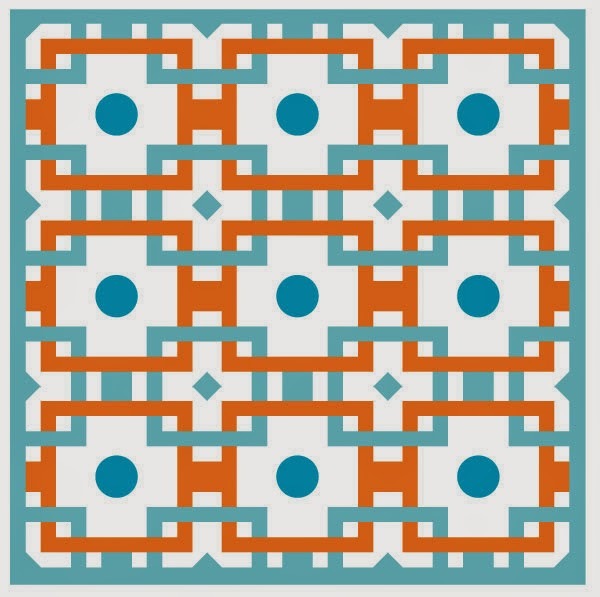 Here is the full quilt pattern… what do you think? 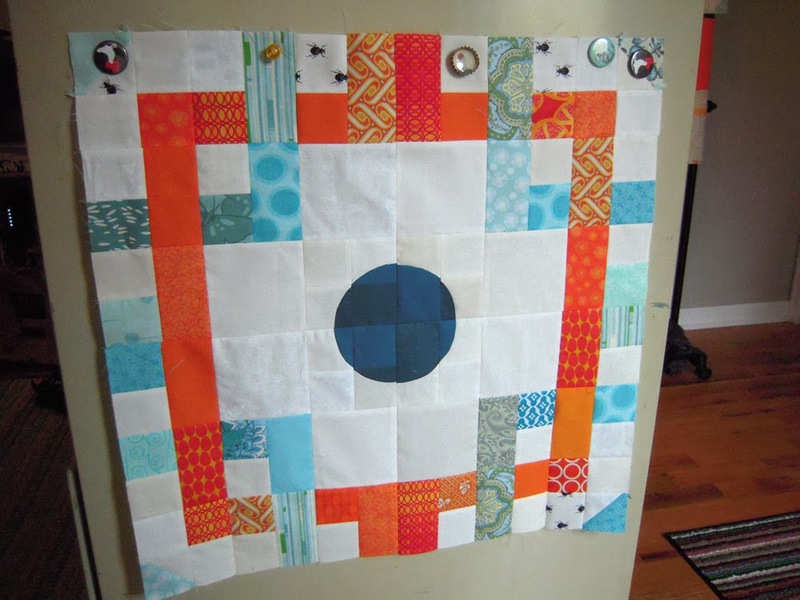 For me, this is a practice quilt to work on my cutting and quarter inch sewing to make good points in the quilt. I personally need ALOT of work in this department, so this is a fun challenge. 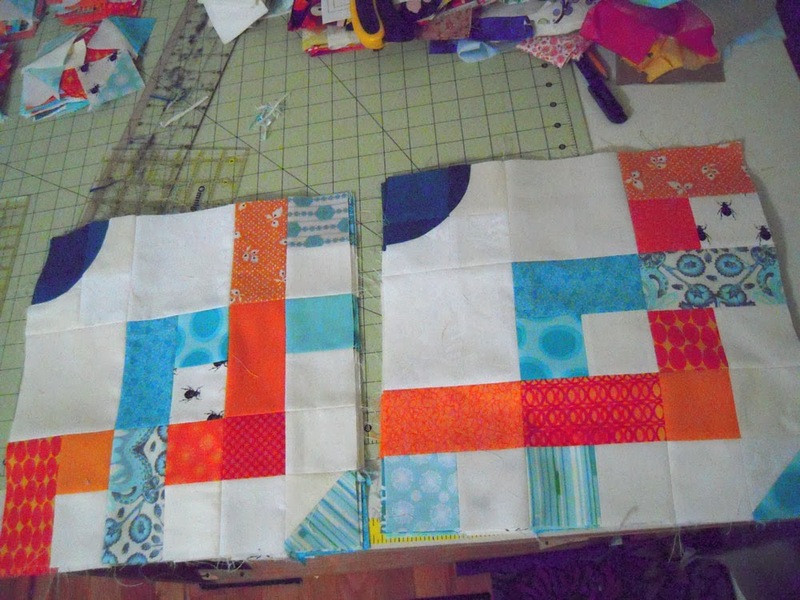 Each block is 24″x24″ so it will be a larger quilt when finished. This is good, I love a big quilt… and with beetles!! The circles are interesting… I thought I could paper piece them until I realized you can’t really paper piece curves. So, a little change and a lot of curved piecing in this one. This would look so nice with your friend Shannon's cricket pillow. On her sofa, to curl up in. Oh, this is going to be gorgeous Gail. I love it. You're right bright colors are best in the cold, dark days.